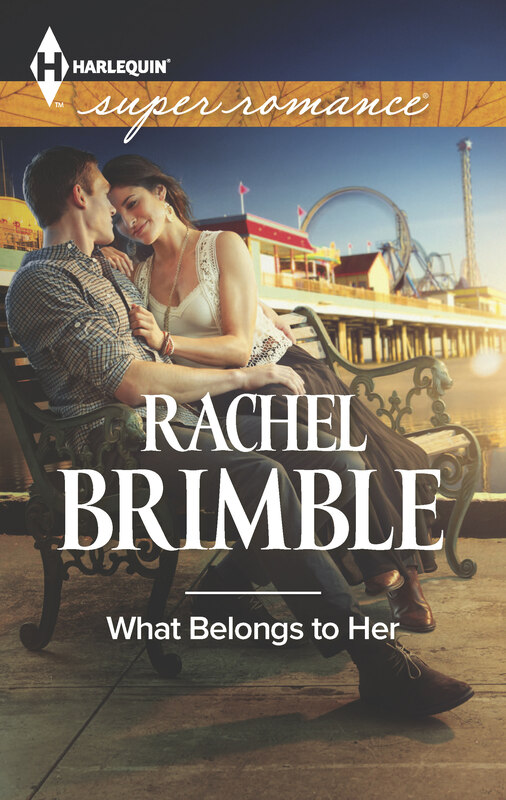 I’m delighted to welcome Rachel Brimble back to my site today- let’s get chatting! 2) How do you organise your life between writing and being a mum and wife? With difficulty and ignorance of the housework, LOL! I am lucky enough to stay at home so I have a strict schedule during the week when I write from 8.30-3.30pm Monday to Friday regardless of the temptation to do anything else. Once the kids are home, I spent the rest of the time doing household chores, shopping, running them to and from after-school clubs, friends etc. In between, I catch as much time as possible on the laptop, but always finish by 7pm. Then it’s family time—which more often than not involves the TV. Weekends are for family too—but if they’re doing their own thing…you know where to find me! 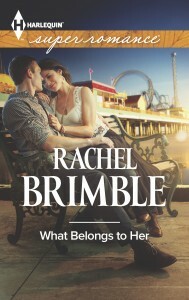 3) Your heroine in What Belongs To Her is Sasha Todd – a manager of the town’s funfair. How did you research Sasha’s role? I think with romance it’s the emotional and romantic arc that readers enjoy the most so I tend to focus on what’s happening internally with the characters rather than their jobs. However, with Sasha, I relied a lot of my memories of a fair that used to come to our hometown every Easter and the people who used to run it. As the fair was there for three weeks we often used to get chatting to the people running the rides and their kids. I was fascinated with their life and jobs and hope I’ve managed to transpose their passion onto the page. I’m due to polish my fifth Superromance next week after it has ‘rested’ for the last fortnight. That book will then go to my agent for a read through before it wings its way to my editor. 5) What are your favourite three reads of all time (to date), and why? Body Double by Tess Gerritsen – I adore Tess Gerritsen, especially her Rizzoli & Isles series but Body Double stands out as one of my favourites. For me, this is crime writing at its best––I didn’t stop turning the pages and thought about the book the entire time I wasn’t reading. 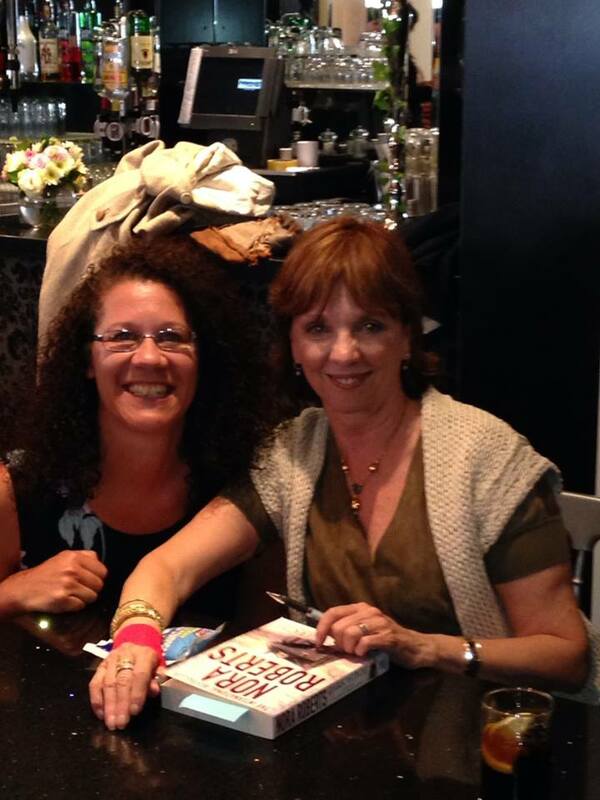 The Bride Quartet by Nora Roberts – I’m cheating here because this is a set of four books (Vision in White, Bed of Roses, Savor the Moment & Happy Ever After), set against a wedding planning business ran by four childhood friends. Nora Roberts is the undisputed queen of American romance and these books kept me riveted from start to finish. Since the moment a local crime boss claimed ownership of her family’s fairground, Sasha Todd has dreamed of righting the wrong. Now it’s time to act, and backing down from the man’s estranged son is definitely not an option. After all, giving up her legacy to hot-blooded John Jordon means losing the chance to finally heal the wounds in her past. Stopping John in his tracks—and resisting the sizzle between them—is Sasha’s best defence. But there’s more to him than she thought, which changes everything. With what matters most at stake, she’ll have to risk a brand-new future with John, or walk away from the man whose heart belongs to her. Many thanks for dropping by today Rachel!